Homelessness is a complex issue, and it’s becoming more so. The opioid epidemic, plus funding cuts to vital support programs, and housing costs that are out of reach for people who are earning low wages, combine to make the situation more difficult than ever. Despite this environment, ServiceNet remains undaunted in our efforts to make a difference. We have provided shelter and housing services in Greenfield since 1983, helping people work their way out of homelessness. And for 35 years, we have been successful. A few years ago, when 100 homeless families had been moved by state agencies into Greenfield motels, ServiceNet immediately responded by sending case managers to work with the families on finding more permanent housing. And this past winter, when our area was hit by a prolonged arctic blast, we stretched the capacity of our 20-bed shelter on Wells Street to host upwards of 35 people on several nights, and to stay open throughout the day. Thousands of those who have stayed in our shelters have gone on to find meaningful work and homes of their own. But our work is never done. Now, during a time of year when shelters are usually less bfull than in the winter, each of our shelters in Greenfield, Northampton, and Pittsfield has a waiting list of around 40. And that number doesn’t include people who — for whatever reason — do not, and would not, choose to stay in a shelter. Shelters are not luxurious. Several people share a bunk room, and privacy is limited. For the safety of all, our expectation is that people will not be intoxicated while they are in the program. No alcohol, drugs, drug paraphernalia, or weapons are allowed through the door. Guests are also expected to help with chores, and the shelter is closed during daytime hours. While this model will not suit everyone, it can be a critical stepping stone for those who need a place to stay for up to 90 days while they work on getting their lives back in order. Many people who are without a home of their own will stay with family or friends for periods of time. Others will stay at campgrounds, or on public land as they have on the Greenfield Common. When these encampments grow, the health and safety of everyone in the community is affected, directly or indirectly. People who are living in extreme poverty, and who may also be dealing with addiction or mental health challenges, need more than just a place to stay and the compassion of caring neighbors. They need expert help — the kind ServiceNet delivers — which benefits not only those who are homeless, but the entire community. As in the past, ServiceNet responded to the situation on the Common. Our outreach counselors made regular visits to the Common and to other gathering and camping places around town, to meet with people and offer the services of our resource center. We invite folks to come in if they wish to meet with a caseworker, have health checks by a nurse, use our computers for job or housing searches, or simply get out of the heat and rain for a while. Some take us up on these offers, others do not. As we have always known, ServiceNet will not solve the problem of homelessness in Greenfield by ourselves. Nor will we eliminate poverty, addiction, or domestic violence. But by working with public housing agencies, career development experts, law enforcement officers, elected officials, and others, we will persist in trying to make meaningful change one person, one family at a time. 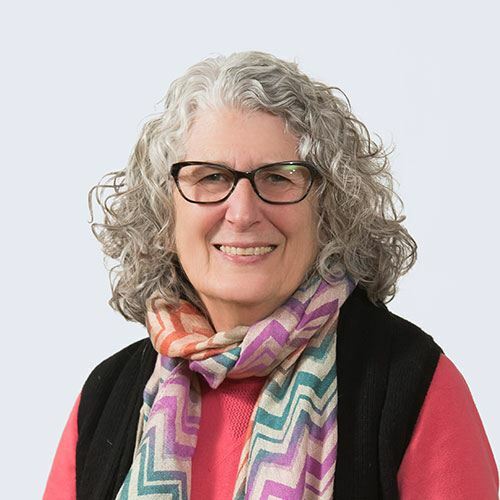 Sue Stubbs is president and CEO of ServiceNet, a non-profit mental health and human services agency that serves communities throughout western Massachusetts.